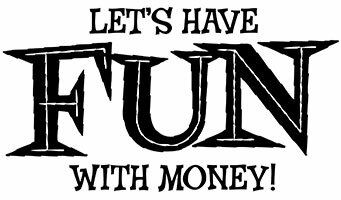 Let’s Have Fun With Money! is a financial planning book, currently under development, written by Betty Howard with help from Trevor Strong, that focuses on the things you can do, instead of the things you can’t. And it doesn’t start with investments—it starts with YOU! Who are you? What dreams do you have? What financial baggage would like to get rid of? And best of all, it does this all in a way that you’ll actually want to read. Find out when and where the book will be available. Read excerpts from Let’s Have Fun With Money! as they become available. We'd love to hear from you and what you think of Let’s Have Fun With Money!. This form will be sent to both Betty-Anne Howard & Trevor Strong. Copyright © 2014-2019 Betty Anne Howard. All Rights Reserved.